Maintaining good staff is becoming harder and harder. Ever Wondered Why Good Employees Leave? Retention, retention, retention; the holy grail of Human Resources. Whilst lots of companies concentrate on bringing in leading skills and talents to their business, some fail to remember to follow this by maintaining retention at the heart of their company's culture. However exactly what forces great individuals to abandon a business? "Flight risk is inevitable if employees experience barriers to their career progression - and, unfortunately, diverse employees frequently report facing unfair barriers," described Laura Sherbin, Co-President Center for Talent Innovation. "HR directors can play a significant role in reducing this trend by ensuring diverse employees have access to sponsors, senior colleagues advocating for their career advancement. A study from the Center for Talent Innovation (CTI) called The Sponsor Effect 2.0: Road Maps for Sponsors and Protégés found that professionals who had sponsors were far more likely than those who lacked them to be satisfied with their rates of advancement-what CTI referred to as the 'sponsor effect'. For instance, women with sponsors were 19% more likely than women who lacked them to be satisfied with their progression." 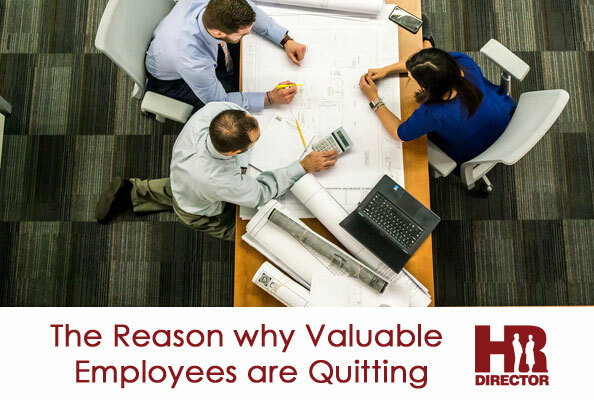 A record from SHRM located that third of brand-new hires leave their duty after simply 6 months in the organization, with remote employees 50% were most likely to step down. With this in mind, Sherbin supports inclusion and diversity as a means to drive a more prosperous and effective company society. "We find that diversity and inclusion drive one another," she informed us. With an inclusive workplace culture, employees of diverse backgrounds can bring to their employers all of the ideas, perspectives and leadership styles that will benefit their company's culture and prospects for innovation. "One key indicator of inclusive cultures: how diverse top leadership is. In Canada, the potential for richly diverse and inclusive cultures exists. After all, the Canadian workforce is increasingly diverse. By 2031, nearly half (46 percent) of Canadians aged fifteen and older are projected to be foreign-born or have at least one foreign-born parent. So, exactly what can Human Resources leaders do to enhance their diversity quota? Sherbin referenced a record from CTI and also Bhasin consulting, which advised HRDs to assist diversity in their offices though promoting a culture of sponsorship. Workplaces need to make their "diverse workplaces more inclusive by fostering cultures of sponsorship, giving needed advocacy to high-performing diverse employees so that they can break through to leadership positions," included Sherbin.